Havana (1990) was the seventh and last movie starring Robert Redford that was directed by Sydney Pollack. The movie, about the Cuban Revolution in 1959, starred a now 50+ Robert Redford as a gambler visiting Havana, Cuba. His Havana co-stars included Lena Olin as his married romantic interest, Raúl Juliá as her husband, and Alan Arkin as the manager of a Havana casino. Below, Robert Redford, Lena Olin are featured in the movie trailer for Havana. Havana flopped, and the close friendship between Sydney Pollack and Redford later disintegrated for reasons unknown, although Pollack had always been irritated by Redford's habitual lateness, and Redford said at one point that Pollack was "fussy". Sydney Pollack died in May 208. In the early 1990's, Robert Redford's heyday as a movie star was on the decline as his baby boomer fans aged along with him. He began focusing more on narrating and producing documentaries such as Incident at Oglala (1992), and directing and producing movies. By the end of 1991, Redford had also acquired a new girlfriend - costume designer Kathy O'Rear - who had worked on his movie The Milagro Beanfield War (1988). He'd also become a grandfather for the first time, when his daughter Shauna Redford and her husband Eric Schlosser's daughter Mica Schlosser was born. Redford has always had a keen interest in conservation, the environment, and Native Americans. Since the late 1980's, Robert Redford had owned the rights to Native American western mystery writer Tony Hillerman's books featuring Navajo Tribal Police Lt. Joe Leaphorn and Officer Jim Chee. The first adaptation of these books for film was the big-screen movie The Dark Wind (1991). Starring Lou Diamond Phillips as Officer Jim Chee and Fred Ward as Lieutenant Joe Leaphorn, The Dark Wind was executive produced by Robert Redford. Eleven years later, Redford's film production company, Wildwood Enterprises, in conjuction with PBS, began producing 3 made-for-television movies based on more of the Tony Hillerman mystery series. Skinwalkers (2002), Coyote Waits (2003), and A Thief of Time (2004) all had Robert Redford as an Executive Producer, while new actors Wes Studi and Adam Bean respectively portrayed Leaphorn and Chee. Redford's son James Redford adapted the screenplay for Skinwalkers, and actor Peter Fonda appeared in A Thief of Time. In one of his few early 1990's movie, Robert Redford starred in the crime comedy-drama Sneakers (1992). His Sneaker's co-stars included Dan Aykroyd, Sidney Poiter, Ben Kingsley, Mary McDonnell, and Sidney Poitier. Below, Robert Redford and Sidney Poitier are featured in a movie clip for Sneakers. The period drama A River Runs Through It (1992), which made a star out of leading actor Brad Pitt and included Craig Sheffer, Redford's friend Tom Skerritt, Brenda Blethyn, and a young Joseph Gordon-Levitt in the cast, was directed by Robert Redford. A River Runs Through It was loved by critics, receiving 3 Academy Award nominations including best cinematography. Redford was nominated for a Best Director Golden Globe Award. Costume designer Kathy O'Rear also worked on this movie. Although Redford's performance in Indecent Proposal (1993) opposite Demi Moore and Woody Harrelson was panned, the movie was a box office hit. It would be three years before Redford would appear in another movie. Meanwhile, Robert Redford was focusing on producing and directing the movie Quiz Show (1994) starring John Turturro, Rob Morrow, and Ralph Fiennes. Directors and producers Griffin Dunne, Barry Levinson and Martin Scorcese both appeared onscreen as minor characters in Quiz Show. Redford's girlfriend Kathy O'Rear was a costume designer on Quiz Show. During the filming of Quiz Show, Redford's son James underwent a fraught liver transplant in Omaha, and Redford spent much of his time flying back and forth between filming in New York City and Omaha. Quiz Show was nominated for an Academy Award Best Picture and Robert Redford was nominated as Best Director (in addition to BAFTA, Directors Guild of America, and Golden Globe Award nominations as Best Director), but bombed at the box office. At the 1994 Golden Globe Awards, Redford was given the honorary Cecil B. DeMille Award for his outstanding contributions to the world of entertainment. The following year, he was given a Life Achievement Award by Screen Actors Guild in 1995. 1996 was an important year for Robert Redford. His relationship with Kathy O'Rear had ended in 1995, and he met a divorced German artist named (Billie) Sibylle Szaggars in Utah; they began dating and then living together. He founded the premium movie channel Sundance Channel in February 1996 as a joint venture with Showtime Networks (later sold to Rainbow Media in 2008), and was presented with the National Medal of Arts on behalf of Congress by then-President Bill Clinton, for his achievement in the arts. Redford's mind must have been on romance that year, as he executive-produced the romantic comedy She's the One (1996). He also co-starred in the love story Up Close & Personal (1996). Below, the movie trailer for Up Close and Personal features Michelle Pfeiffer, Robert Redford, and Joe Mantegna. In Up Close & Personal Robert Redford played news director and mentor Warren Justice in a story loosely (very loosely) based on the biography of news anchor Jessica Savitch (played by actress Michelle Pfeiffer). Critics derided Up Close & Personal movie for not sticking more closely to the facts, but aging baby boomers liked the movie, and co-star Stockard Channing won a Blockbuster Entertainment Award for Favorite Supporting Actress - Romance. Perennial character actor James Karen was also in the cast of Up Close & Personal. Robert Redford produced, directed, and starred in the drama The Horse Whisperer (1998), co-starring Kristin Scott Thomas, Sam Neill, Dianne Wiest, Chris Cooper, and child actresses Scarlett Johansson and Kate Bosworth. Real-life horse whisperer Buck Brannaman consulted on the movie and doubled for Redford in some scenes as well. Critics liked the movie but audiences loved it; on a budget of $60 million, it took in over $186 million at the box office. Robert Redford earned a Golden Globe Award nomination for Best Director. In The Horse Whisperer movie trailer below, Robert Redford, Kristin Scott Thomas, and Scarlett Johansson are featured. The golf drama The Legend of Bagger Vance (2000) starred Will Smith, Matt Damon, Charlize Theron, and veteran Jack Lemmon as the narrator and aged Old Hardy Greaves. The Legend of Bagger Vance was directed and produced by Robert Redford, who must have lacked the magic touch this time; the movie tanked at the box office. The same year he became a senior citizen, Robert Redford starred in two new big-screen movie releases - the military prison drama The Last Castle (2001), and the spy thriller Spy Game (2001). The Last Castle was a critical failure and lost money, while Spy Game, which co-starred Brad Pitt, fared a little better. A flurry of film projects that Robert Redford was involved in were released in 2004. He was an Executive Producer on The Motorcycle Diaries (2004), a project he'd been involved in for several years. The Motorcycle Diaries premiered at the Sundance Film Festival in January 2004 and won 3 awards at the Cannes Film Festival that year as well. Redford also provided narration on the Walt Disney Pictures documentary Sacred Planet (2004), and starred in the kidnapping drama The Clearing (2004) with Helen Mirren, Willem Dafoe and Matt Craven. Showing no signs of retiring in his senior citizen years as he approached his 70th birthday, Robert Redford began Executive Producing the TV documentary series Iconoclasts (2005-2012) exploring the lives of creative visionaries such as Sean Penn, Lorne Michaels, Quentin Tarantino, etc. The modern western movie An Unfinished Life (2005) co-starred Robert Redford, Jennifer Lopez, and Morgan Freeman. Even though An Unfinished Life received lukewarm attention from audiences and critics, Redford was awarded the Kennedy Center Honors that year for his contributions to American culture. The movie clip below from An Unfinished Life features Robert Redford and Camryn Manheim. Since becoming a septuagenarian senior citizen in 2006, Robert Redford has put his focus on narrating conservation/environmental documentaries, directing, and acting in selected films. Robert Redford produced, directed, and appeared in the Afghanistan war drama Lions for Lambs (2007) co-starring Meryl Streep (his Out of Africa co-star) and Tom Cruise. Although it was not well received by critics and considered a financial failure, Lions for Lambs made almost double it's $35 million budget at the box office. Robert Redford: The Biography (2011) by Michael Feeney Callan was written over fifteen years, at first with Redford's assistance, although he later distanced himself from the book. Redford produced and directed the historical drama The Conspirator (2010); and produced, directed, and starred in the political thriller The Company You Keep (2012) with Shia LaBeouf, Julie Christie, Susan Sarandon, Nick Nolte, Chris Cooper, Sam Elliott, and Stanley Tucci. Robert Redford is a man lost at sea for almost the entirety of the drama All is Lost (2013). 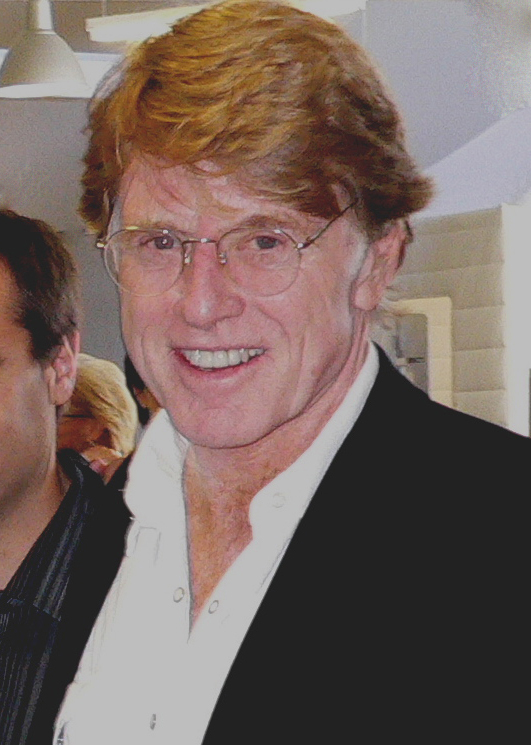 All is Lost writer and director J. C. Chandor met Redford at the 2011 Sundance Film Festival and asked him to star in the movie, which had a cast of exactly one person - Robert Redford. Critics loved All is Lost and the now 77-year-old Redford's performance in it. All is Lost made many critic's Top Ten Lists for 2013 and Robert Redford was nominated for several Critics Choice Awards and the Golden Globe Best Actor Award. The All is Lost movie trailer features Robert Redford. In a surprise move for Robert Redford's older baby boomer and senior citizen fans, he appeared in a small role as Alexander Pierce in the superhero movie Captain America: The Winter Soldier (2014). When asked why, Redford said the attraction for him was the contrast to his usual movies and a desire to "experience this new form of filmmaking that's taken over where you have kind of cartoon characters brought to life through high technology." Also appearing in Captain America: The Winter Soldier is now grown-up actress Scarlett Johanssen, who had co-starred with Redford more than 20 years earlier in The Horse Whisperer (1998). Most recently Robert Redford's projects have included executive producing the documentary TV series Death Row Stories (2014-2015), and the TV documentary mini-series Chicagoland (2014), as well as producing other documentaries. He produced and could be seen onscreen in the adventure biography A Walk in the Woods (2015) co-starring Emma Thompson, and Nick Nolte (his co-star from The Company You Keep). Robert Redford had been attached to A Walk in the Woods since 2005. He had initially hoped his friend and former co-star Paul Newman (Butch Cassidy and the Sundance Kid; The Sting) would appear in A Walk in the Woods with him, but Newman retired from acting and died in 2008. A Walk in the Woods premiered at the Sundance Film Festival in 2015 and had mixed reviews, faring well at the box office. The movie trailer below for A Walk in the Woods features senior citizens Robert Redford, Nick Nolte taking the proverbial walk. The political/news docudrama Truth (2015) co-starred Cate Blanchett as news producer Mary Mapes, Robert Redford as news anchor Dan Rather, with a cast that included Dennis Quaid and Bruce Greenwood. Robert Redford also appeared in an narrated 8 episodes of the TV series America: The Beautiful (2015), and produced the crime drama The Adderall Diaries (2015) starring Amber Heard, James Franco, and Christian Slater. This year, new octogenarian senior Robert Redford can be seen as Mr. Meacham in Pete's Dragon (2016) as the father of Grace (Bryce Dallas Howard). Behind the scene's, he's executive producing the TV mini-series The American West (2016). The Pete's Dragon movie trailer below features child actor Oakes Fegley (Pete), Robert Redford, and Bryce Dallas Howard. Redford has no plans as yet to retire. Fans can look forward to seeing him on screen again in 2017, as he's just finished filming the movie The Discovery (2017), which is set for release in 2017 on Netflix. Filming is set to start this fall on the love story Our Souls At Night reuniting Robert Redford with Jane Fonda in their fourth movie together (Tall Story, Barefoot in the Park, The Electric Horseman). It's been 37 years since their chemistry in The Electric Horseman (1979) and Barefoot in the Park (1967 - 49 years ago) lit up the movie screens and made us laugh. Now with Jane Fonda a septuagenarian in her late 70's and Redford an octogenarian, it's safe to anticipate that Our Souls At Night will be a movie portraying intimacy and love between older, more mature adults. 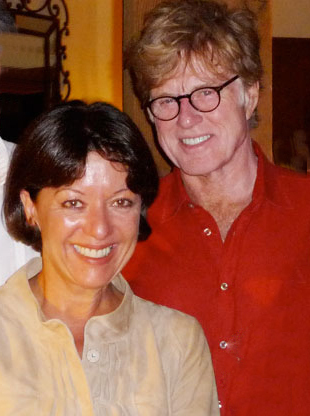 Robert Redford and still lives on his ranch in Utah with second wife Sibylle. He's a grandfather several times over now, and how he felt back 1998 may have changed: "The word grandfather is weird. It feels like some old guy in a robe." He told Esquire in 2013 that "The way to deal with arthritis is you keep moving. As long as I can play hard tennis, as long as I can ski or ride a horse — all kinds of things can come your way. But as long as you can, do it. People who retire die. My dad retired and died shortly after. Just keep moving." 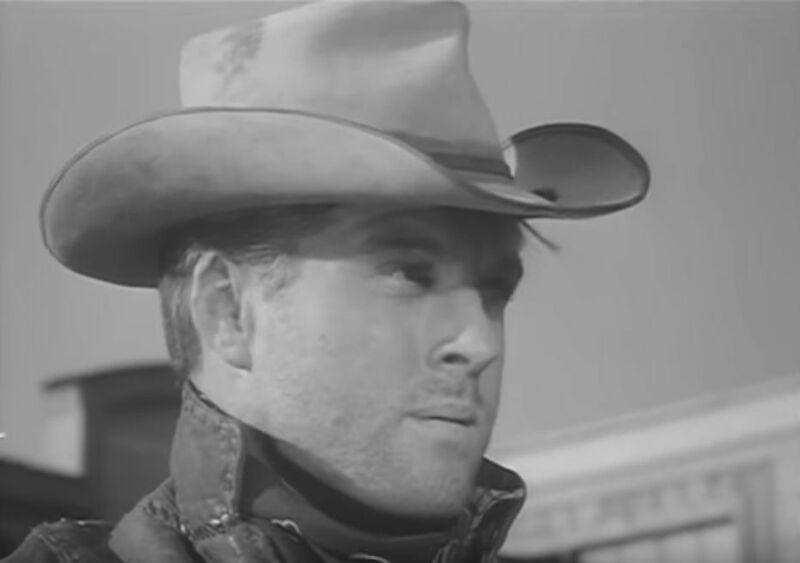 Below, a younger Robert Redford in 1960. Happy 80th Birthday, Robert Redford! Memorial Service Music - Make You Feel My Love?